At the heart of this story are a handful of very different people: a laconic English sailor; a recuperating American marine; a tough Dutch soldier; and two very smart police detectives from Martinique. The characters form unlikely alliances with one another as the plot unfolds. And to add to this international cast there is an unlikely walk-on role by the Carib-indians’ frightening god, Huracan. Smuggling and piracy, murder and tempests, espionage and extraordinary rendition, covert Great Power bullying and stubborn island pride, all force ordinary people into extraordinary action and thence to be bigger than they ever thought they could be. Something rotten lies deep down in these luscious Caribbean islands. In this climate morality depends on ordinary people. Things happen by chance to all of us in whatever world we inhabit. This story begins when some very chance events threaten to engulf our English hero. The dual threads of the plot converge as the English sailor and American marine at the centre of the actions are sucked into the great play of real politique. Fact often overhauls fiction, especially in the Caribbean. Tens of thousands have been killed on the Mexican border in drug wars; US drones in use over Mexico are denied by the Mexican president; CIA agents lied to Congress over US support to the Contras, were pardoned by President Bush senior and brought back into service by President Bush junior; a US congressman exposed the case President Reagan made for invading Grenada in 1983 as insubstantial. It is possible that a Trinidad prime minister paid for smuggled weapons for the army from his own salary. It is not impossible that the whole raft of economic and financial agencies set up by the US to deal with sovereign Caribbean nations was to encourage support for extraordinary rendition in their war on terror. It would be hard to say where reality ends in this novel and fiction begins. When I was preparing for my own first Atlantic crossing I read everything I could get my hands on but I couldn’t find what I needed: a book that told the nuts and bolts of the crossing and what must come before and after, in an optimistic sort of way, to give comfort to a sailing rabbit like me rather than boost the egos of the fearless heroes: how to sail an ocean, survive and, most important of all, enjoy it. I never found that book so I wrote it, for those who come after me. I hadn’t planned to write this book when I set off but somewhere on that journey I realised that this was such a life enhancing adventure that other sailors should be encouraged to make it too. I filled the book with the practicalities that had become important to me: the boat, the crew, passage planning, the weather and waves we encountered, sail handling, food, medicines and entertainment and, most importantly, that you should start thinking like an ocean sailor before you become one. 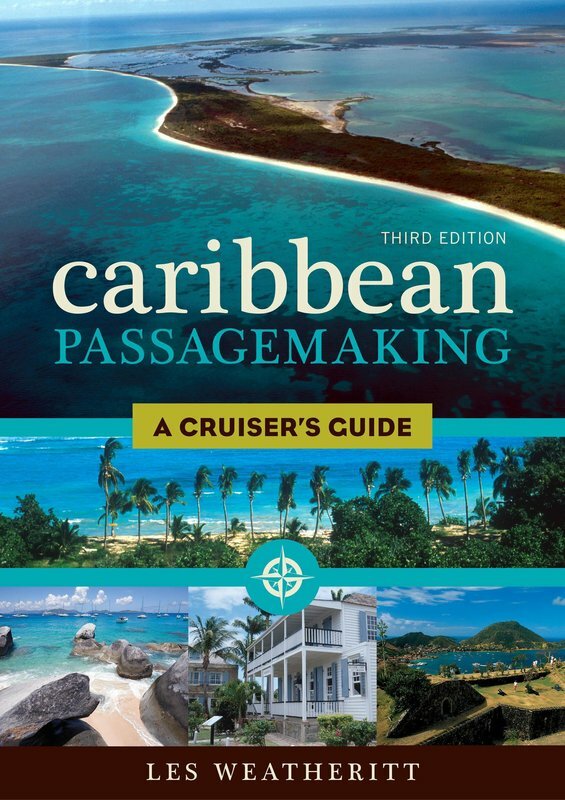 Your First Atlantic Crossing quickly became established as an essential read for ocean novices and dreamers and in the last decade I have met many readers from here to the Caribbean. The book is in its fourth edition now and this is the one with the biggest changes. I kept the light touch of the original but I added more than a decade’s experience of sailing and living aboard. Here is hard won knowledge of keeping crews happy and therefore effective; of shake-down cruises and alternative routes to go beyond the Milk Run; of routes to return to Europe, if that becomes your plan. It aims at the independent sailor, because that is what I know best. It argues that almost any strong and simple boat can make this crossing, because that is what I sailed and I have seen even simpler boats on the other side. You and your boat just need to be ready; you don’t have to have bought the Force4 catalogue. YFAC fourth edition has become a guide to crossing any ocean. When I naively set out for the Caribbean it wasn’t really to visit the place. It was to see if I could manage an ocean crossing and then I would come back and return to gainful employment. I planned to do the trip in the single season; winter out and summer back. I had hardly arrived when I realised the folly of that. I had arrived in the most beautiful and fulfilling sea for a cruising yacht. If my plan was to leave in a hurry, best that I ditch the plan. In the end I stayed about a decade, visiting all the islands in the chain from Trinidad to the Virgin Islands, learning the cultures of the islands and the best strategies to deal with the perennial problems of a boisterous Trade Wind sea and the lethargic officialdom of Customs and Immigration. 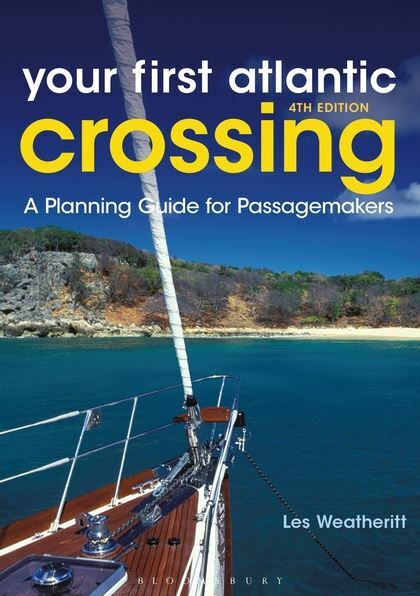 I want you to ditch any idea of a single season visit but, if you can't Dump the Plan, then this book will help you get more out of your trips around the island chain that you would by just reading the Rough Guide and the local pilots. It compares the practicalities and economics of keeping a boat out there (including flying to and fro) with the practicalities and economics of keeping your boat in Britain. I built a massive spreadsheet to prove my point but really all I had to do was factor in a winter of palm trees and parrots, gentle surf on a golden beach, silky seas for swimming and the exhilarating Trade Wind breeze. After that the numbers – convincing in their own right - meant nothing. I was in Trinidad watching on TV as huge bad winter storms were hammering North America, when freezing and unfreezing rivers across the Mid West and Eastern Seaboard flooded thousands of homes with ice-cold muddy water. It could have been Britain these last few winters. An American from a nearby mooring said she never intended to spend another winter in Massachusetts. Me neither, I told her. A good idea stands being repeated. YFAC was a good idea but it was to get Europeans across the wide ocean to the Caribbean. In the Caribbean, the ‘backyard’ of North America, I met many Americans who had got to the islands but were afraid to make the really big push of sailing to Europe. I told them they were making a category error. If only they realised this the wonders of the ocean crossing would take over and they would be on their way. They weren’t afraid of the crossing from west to east because most of them had, one way or another, done the worst bit already by sailing across the notorious Gulf Stream. It was the return that bothered them, the idea of leaving from an alien, so very different continent where they would need to master new weather and tides and geography. I tried to explain the concept of the benign Milk Run. Benign is not an American concept. I tried to describe the wonders of sailing to the great European cities. That didn’t win converts either. 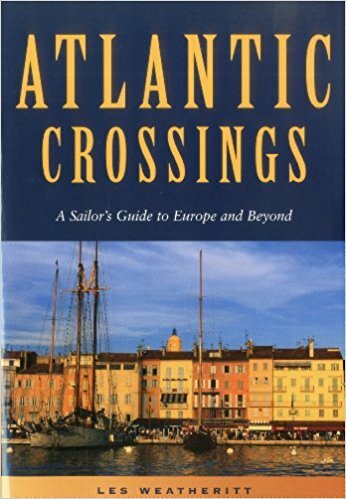 Atlantic Crossings keeps much of the sailing lore and wraps it in the new geography of Europe. I offered a plan of a whole journey, from there and back again. As with YFAC, I wrote what I wrote from experience. I have sailed the coasts of Britain and northern Europe, from Brittany to Sweden; I have sailed the Iberian coast and the Atlantic islands of the Azores, Madeira and the Canaries; I have sailed the Algarve coast almost to Gibraltar and sailed around the Greek end of the Mediterranean. I skipped the bit in-between - the rivieras of Spain and France and Italy - on the grounds that it is impossibly expensive to be there during the summer, when most American boats going west to east would be arriving.